The ultimate retrospective on the most influential horror series of all time! 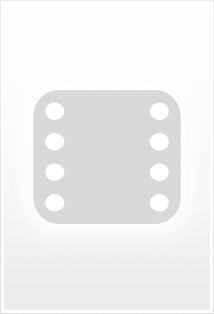 Jeff Fahey: Looking back, it's interesting isn't it? Because sometimes we look back and we're having this long conversation about Tony and he's gone. Maybe we shouldn't wait so long to look back. Q: Does this documentary cover the original film? Q: When will this documentary be released? Fifty years ago, Anthony Perkins stabbed and slashed his way into the hearts of audiences in Alfred Hitchcock's classic horror epic, "Psycho." Aside from being a landmark for cinema, "Psycho" is notorious for having quite possibly the most consistent and most respectable set of sequels, a fact often overlooked throughout the years. "The Psycho Legacy," an in-depth documentary from the same folks who brought you "His Name Was Jason" and "Never Sleep Again: The Elm Street Legacy", attempts to shed some light on this fact. 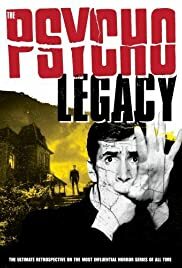 By compiling interviews old and new with assorted cast and crew (as well as some long-time fans who have carved their own niche in the horror genre) "The Psycho Legacy" paints a colorful and informative picture of a franchise that deserves more respect beyond the usual praise garnered for its first installment. The meat and potatoes of the feature-length documentary are broken down into five parts. Opening with a surprisingly brief (and somewhat shallow) piece on Hitchcock's original, the documentary spends equal time on each of the three sequels, wrapping up with thoughts on Norman Bates himself, Anthony Perkins. Incidentally, the documentary skips over the 1998 shot-for-shot remake, which is a bit of a shame as even if the film itself was a futile experiment in cinema, it is still rather note-worthy as a rarity in its own genre. While the bigger names such as Dennis Franz and Meg Tilly don't appear in the documentary, other key players such as Robert Loggia, Jeff Fahey, Olivia Hussey and Henry Thomas appear to be more than happy to show some love and support for their somewhat forgotten roles. Archive footage from Perkins, Janet Leigh, director Richard Franklin and others are intercut with the newer footage, while the documentary itself rejects the typical narration. Really, "The Psycho Legacy" is pretty much just a series of interviews pieced together to tell a story. Since none of the releases for the three sequels were accompanied by any bonus material, it's quite a treat to finally have some light shed on these severely under-rated films. Those seeking the goods on Hitch's original would do better to look elsewhere, but for the rest of us, this documentary does the series justice. The 2-DVD set is rounded out with hours of deleted and extended material, which is actually just as informative as the main documentary itself, if not moreso. While one can't help but feel like more could have been done with this documentary (such as reaching out to bigger names or covering much more ground) it is a satisfying venture regardless. The bonus material is certainly worth a watch and even if you've seen the films multiple times and have read up on them as much as possible, you'll likely learn something new here. In essence, "The Psycho Legacy" is something us Norman Bates fans can go a little mad for.